I just can’t see spending money for something that I can make for pennies in only minutes. That’s just me. Others would rather save time than money. Here is a way to do both. 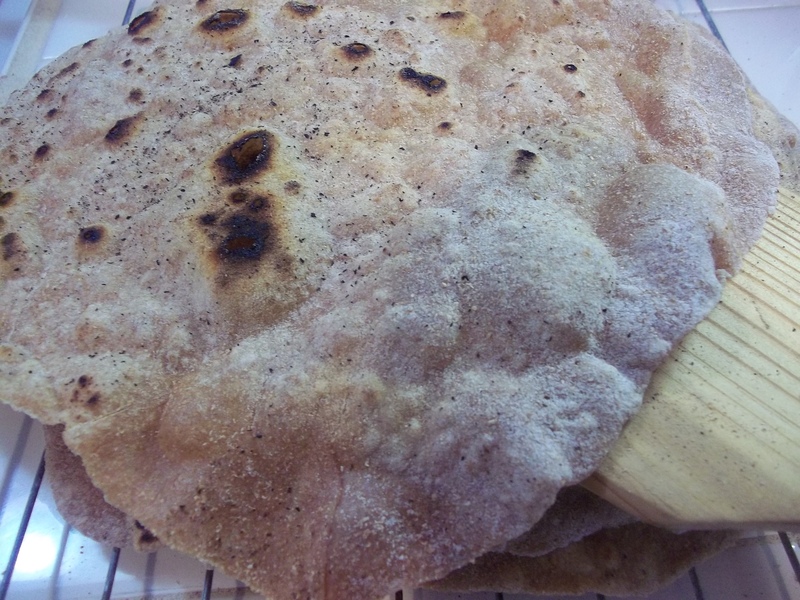 Yes, you have to make dough, roll it out, AND cook it, but there’s no way to goof up on this recipe and you will get stacks and stacks of warm, soft, tortillas that come in handy when you need them, no supermarket trip required. They freeze very well and keep when tightly wrapped in the fridge for…well…just…ever. You don’t think you have time, you may not think you have the skills required, but if you’ve ever played with Play Doh or modeling clay as a child, you have all it takes. Once play time is over, they literally take seconds to cook. Really. You can’t walk or even look away because as soon as you turn your back, they are ready to be flipped or are done completely. 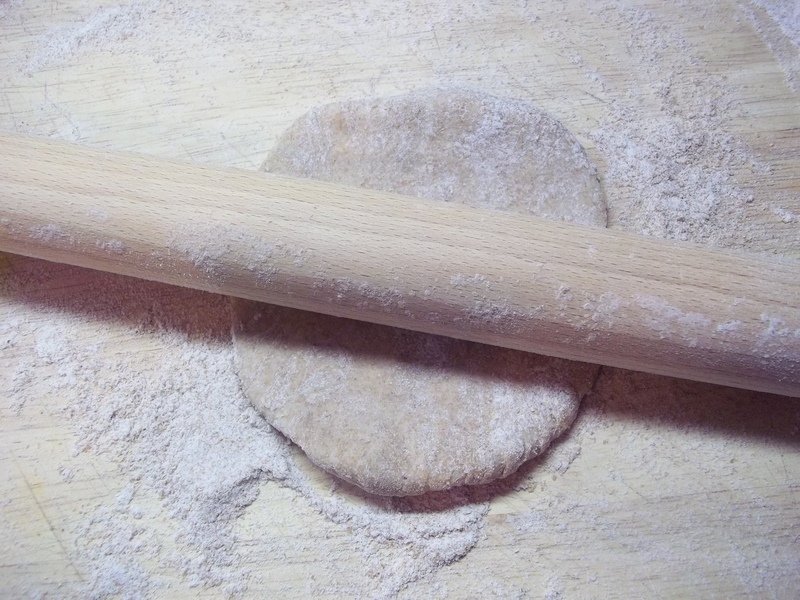 So get your rolling pin out, put on your “Kiss the Cook” apron or that frilly, lace-edged one you inherited from Grandma, and start squishing some dough between your fingers. It’s fun! Work in the hot water (Tap water is fine. 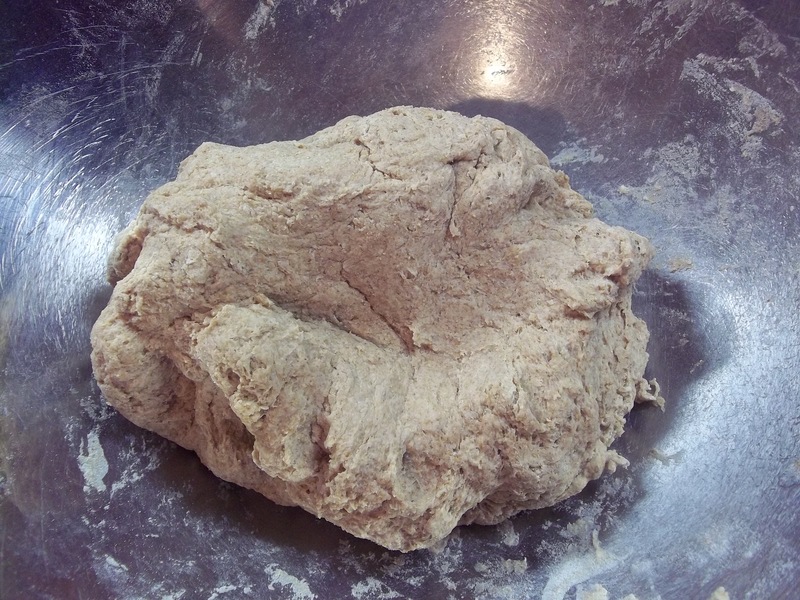 Don’t heat it so hot that you can’t work the dough with your fingers) until a dough is formed. 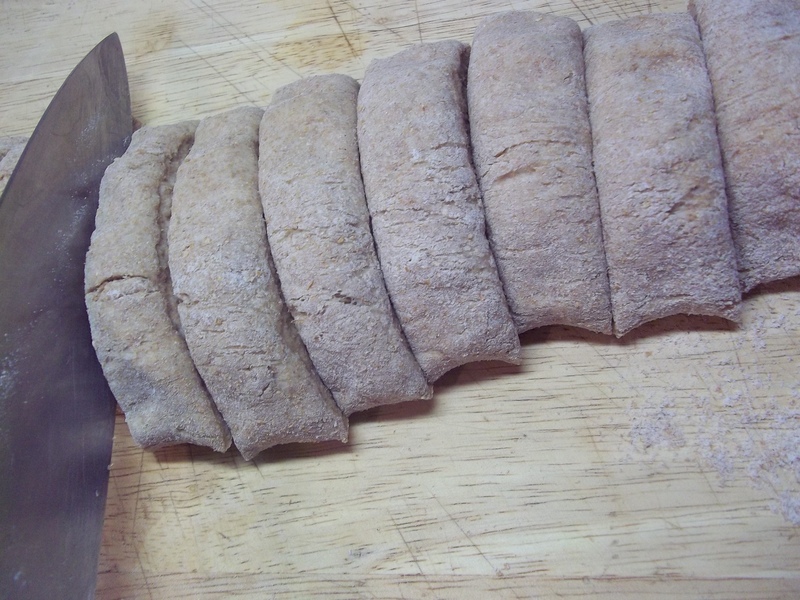 Roll the dough into a log and cut into 18 to 20 uniform pieces. Shape the pieces into balls. On a heavily dusted surface roll the balls into very thin circles 5 to 7 inches across, depending on the size of pan you have to cook them on. Don’t shape them too perfectly or you’ll miss out on the rustic, homemade feel when you go to wrap them around your favorite filling. Heat a cast iron skillet or griddle on high until very hot. 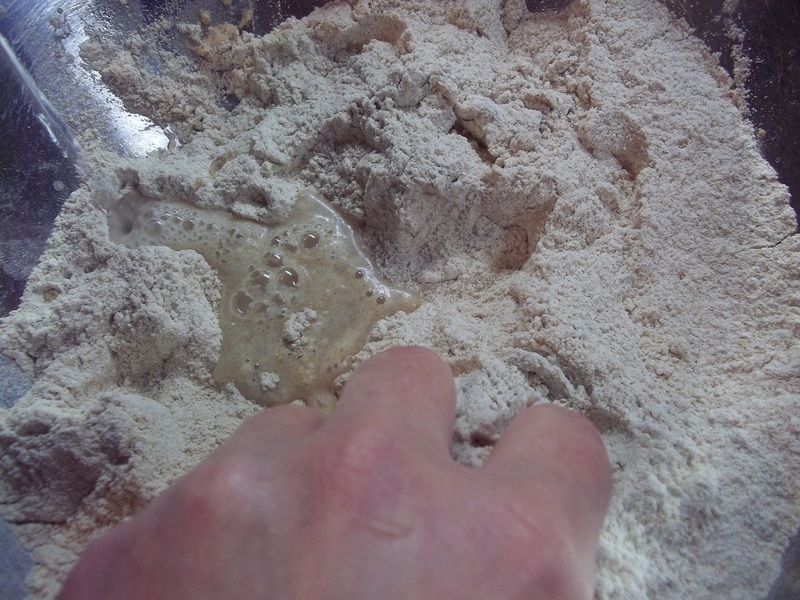 Lay the dough rounds on the hot surface and cook for half a minute or so before flipping it. Cook for another few seconds and remove from heat. Repeat until all the tortillas are cooked. 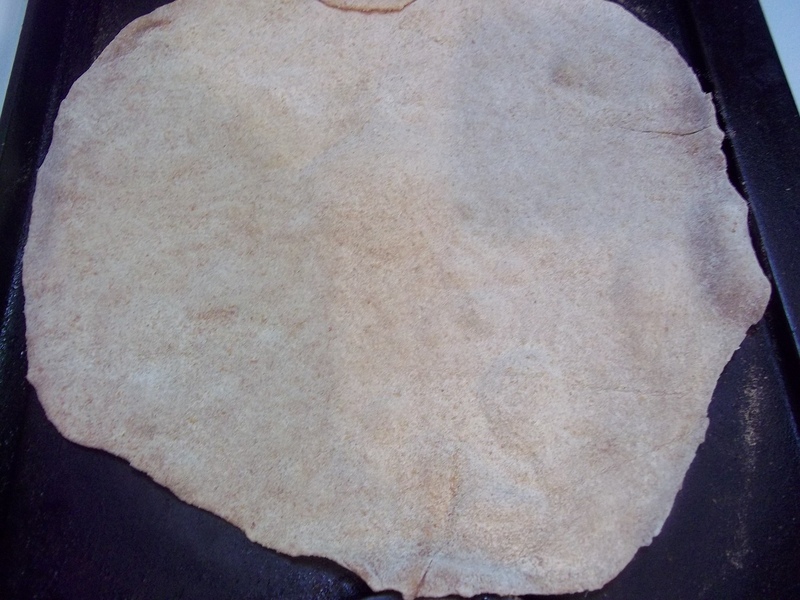 You can immediately cover them with a towel or place them in a tortilla warmer or lidded baking dish if you will be using them right away, to keep them soft and warm. Cool them on wire racks, thoroughly, before storing or freezing. 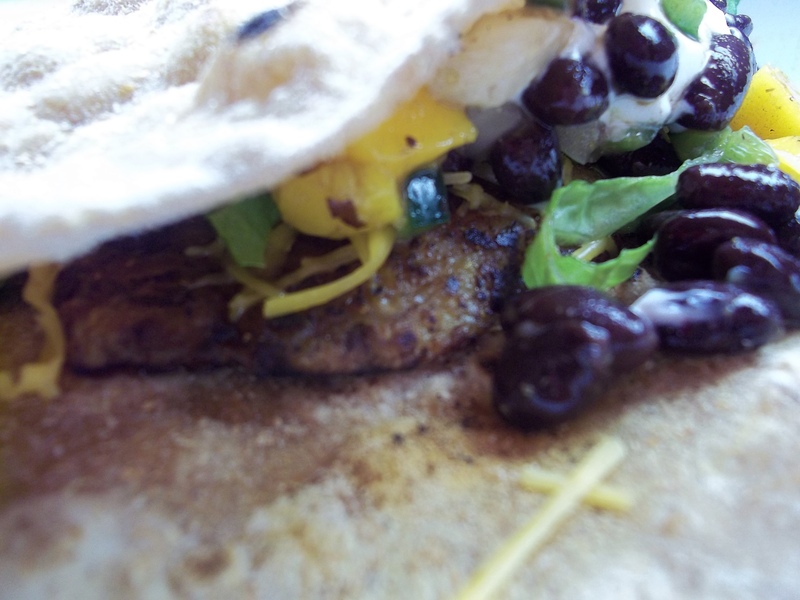 I used these fresh tortillas for serving Fish Tacos with Mango Black Bean Salsa. The fish was Blackened Tilapia. Makes 18 to 20 tortillas.